Given the rising connections, the Peruvian President Martin Vizcarra said in a recent statement that Peruvian and Chinese cooperation should be based on a long-term outlook that goes beyond current affairs and circumstances. 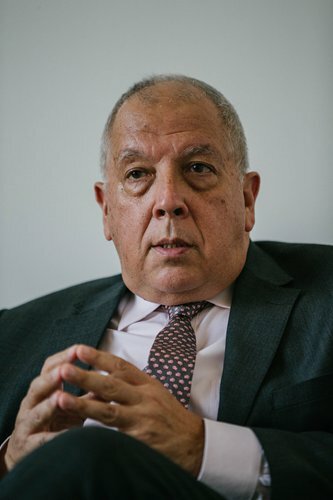 The Global Times (GT) sat with the Peruvian Ambassador to China Luis Quesada (Quesada) who shared with us some latest knowledge over trade and investment. GT: Last November, the ministers of commerce of both countries initiated the upgrade of their free trade agreement (FTA). Will we see any progress this year and what will be the expected outcome for bilateral trade and investment after the upgrade? Quesada: I think it would be tremendous because the FTA came into effect in 2010, and the volume of our export and import with China has since increased. In April, we will have a Peruvian delegation come to Beijing to upgrade our FTA with China. We need to upgrade our goods and services sectors. It's also important that we introduce an e-commerce and competition policy, and with these upgrades, our trade volume will increase tremendously and they will benefit the people of both countries. GT: The Finance Minister of Peru Carlos Oliva said that the private investment in Peru will continue to accelerate in 2019 and will reach a growth of 7.5 percent, higher than what was recorded at the end of 2018. Yet analysts believe that public investment is expected to be weak this year, because the new local and regional authorities will spend more time evaluating and approving projects. What is your interpretation about this? Quesada: Private investment is on the rise, which means the private sector has great confidence in our economy. This year we will begin constructing a new international airport in Cusco in Southeastern Peru, which is a main tourist attraction. We are also building new ports and new hydroelectric projects, as well as many new projects. But since some of the local authorities are new, especially the regional and municipal authorities that have just started their terms this year, the speed of development of the projects might be lacking in the beginning. But most of these projects are run by the national government, so I am optimistic about this. We expect a four percent growth in Peru in 2019. GT: Peru is one of the world's largest producers and exporters of fish. With a population of more than 1.4 billion, China consumes a large amount of fish every year. Therefore, China and Peru have close cooperation in the fishing industry. How does the Peruvian side wish the Chinese groups and individuals will take part in this sector? Quesada: Investment of course. We have about 170 Chinese companies in Peru, but most of them are dedicated to mining or mining equipment. We would like to see more investment in other industries such as the fishing industry. Since the beginning of the winter, we have started to export shrimp to China. Our ambition is to become one of the main suppliers of shrimp to China. We are now one of the main suppliers of agricultural products such as avocados, grapes and blueberries to China. Chinese companies can also run fishery businesses in Peru, which is part of our open investment policy. Of course, for any businesses that want to establish themselves in Peru, there are a number of local employees that should be hired. GT: China and Peru have seen many interactions in varied sectors ranging from mining to infrastructure and agriculture. What are the other sectors you would like to see Chinese partners collaborate on? Quesada: China has shown that it has done fantastic work in technology and innovation. Our private and public sectors should work together in this sector with China. For example, the new energy vehicles you promote to tackle pollution are impressive. China has set a good path in green energy and we need to watch and learn from it. Education is also an important part for further collaboration. We need to send more Peruvian students to China. When I talk with the Peruvian students in China, they know that their capability in speaking Chinese as a foreign language is a great advantage for them when they get back to Peru.